The death of Martin McGuinness, followed by more revelations and controversy concerning the IRA double agent, Freddie Scappaticci brought a workload that meant that I had to put on hold the series of posts dedicated to the FBI files on Irish Northern Aid (INA), or Noraid as it is popularly known, acquired by the New York-based tele-journalist, Nate Lavey. So, now that a normality of sorts has been re-established, I can return to that task by publishing two more files, one opened in July 1980, the other in September 1981 which closes in August 1982. More will follow, in due course. The first file illustrates a perennial problem for Irish revolutionaries, the danger of infiltration by informers. It was always a problem in Ireland where folklore, at least, has it that only Michael Collins’ intelligence skills prevented the 1916-1921 campaign experiencing the same disastrous end as its predecessors, defeats made possible in no small measure by informers. Although the full history of the Provisional IRA’s military campaign is yet to be told, it is already clear that informers like Freddie Scappaticci played a key and maybe defining role. Deterring infiltration by hostile agents must have been a big problem for Noraid given that the terrain on which it operated was so much more difficult than in Ireland, where it was by no means easy. To begin with there was never the same level of hostility to the US forces of law and order from Irish-Americans as there was in Ireland to British and Irish units, especially the RUC and British Army. The Irish-American community supported and joined the US military and the various forces of law and order in America, not least the FBI and saw no problem helping out the authorities. Giving information to the cops has very little of the opprobrium that exists in Ireland. Nor could the same sanctions that were used in Ireland to deter informers – a bullet to the back of the traitor’s neck – be contemplated in America without fear of disproportionate consequences. Add to that the FBI’s array of legal powers, not to mention its formidable ability to intimidate, and it must have been a relatively simple task for the US authorities to infiltrate Noraid. And so, the first and really only substantial item in the first of these files, opened in July 1980, deals with the FBI monitoring, courtesy of a Noraid informer, the creation of an INA unit in Denver, Colorado. Although significantly redacted it is clear from the file that the informer is part of the organising committee charged with setting up the unit. Everything that was to happen in Denver would be known to the FBI. In that part of America Noraid would be an open book to the government. The early 1980’s were tumultuous years for Irish Northern Aid. The 1981 hunger strikes brought a surge of unprecedented financial and political support but also the active hostility of the FBI as it sought to link Noraid with weapons smuggling to the IRA. In 1981 the FBI arrested five republican activists, including one of the founders of Noraid, and accused them of buying weapons and sending them to the IRA. Michael Flannery, who had helped create Noraid in 1970/71 was accused of giving money to George Harrison, a legendary IRA gun-runner, to buy weapons from a person who turned out to be an undercover FBI agent. Their trial happened in the autumn of 1982 but all five were acquitted when they claimed that they believed that the undercover agent was a member of the CIA which had authorised the weapons purchase so that the IRA would not turn instead to the Soviet Union for guns. Whether the jury were persuaded by this improbable argument or their verdict was more a judgement on the Thatcher government’s handling of the hunger strike is a matter of debate, but this was not the only bizarre aspect of the trial. One of the US government’s lawyers in the trial rejoiced in the name Ira H Block. If you don’t believe me, well here he is! A year later, in May 1983, the US authorities had better luck when they secured the conviction of four men on a charge of attempting to buy weapons, including a Red Eye missile system, from an arms dealer who turned out to be another undercover FBI agent. Although Michael Flannery, who was chosen as Grand Marshal of the New York St Patrick’s Day parade in 1983, much to the chagrin of the Irish and US governments, was undoubtedly a member of Noraid, the FBI had difficulty actively linking Noraid to weapons dealing. Noraid’s official purpose was initially to raise money for the relief of Nationalist distress and then to provide funds to help the families of IRA prisoners in Irish jails. One document in the second file shows that the FBI had some doubts about whether the linkage with weapons dealing was as direct as the Irish and British governments claimed. The FBI author, a Special Agent whose name was redacted, wondered whether Noraid’s real assistance to the IRA was to release funds for arms purchases which otherwise would have to spent on these families. This is the most valuable and informative document in the second file; it is a seven page LHM (FBI’ese for Letter Head Memo) dated August 23rd, 1982, outlining the case for an operation to inflitrate Noraid so as to gather evidence of active involvement in arms dealings. The document was sent to the Special Agent in Charge (SAC) from an unnamed Special Agent. The document says that the probe of Noraid was launched on September 30, 1981, ‘based on a summary of information by this writer which indicated that several NORAID principals were involved in gunrunning activities here in the US’. NORAID activities fall into two categories: propaganda and fund-raising. Propaganda activites include sponsoring speakers from Northern Ireland, demonstrating in front of various target locations, television appearances and letter writing campaigns. Fundraising activities are high pointed by the annual testimonial dinner at the Astorian Manner in Brooklyn, in New York and supplemented through contributions and activity fees made at a wide range of gatherings including sports events, dances, public gatherings, sales of literature and souvenirs, outright contributions and a series of alleged illegal activities. These illegal activities may include fencing operations and burglary rings. There is no such place as the ‘Astorian Manner’ in New York. In these years Noraid held its annual dinner in the Astoria Manor which is in Queens, not Brooklyn. Such a basic error is a disconcerting thing to find in an FBI report of such import. Also troubling is the methodology used to justify the suspicion that Noraid is involved in arms smuggling. The FBI estimates Noraid’s annual income at this time at around $220,000 and because Noraid accounts subpoenaed by the Department of Justice show a considerable shortfall from this sum, i.e. some income is not accounted for, the FBI concludes that there must be another, secret bank account under Noraid’s control which is being used, possibly, to buy guns. The figure of $220,000 in income also seems to have come, judging from the redactions, from a confidential source within Noraid, not from documentary evidence. Having shown that NORAID funds are poorly accounted for and that evidence strongly indicates that NORAID principals are the conduit for money to weapons purchasers for the IRA here in the United States, it can be presumed that a portion of the money which passes into the NORAID organisation ends up in Ireland in the form of weapons. The focus of the FBI investigation would be on that moneyused to purchase weapons in this country. Since January 1981, 22 individuals connected to Irish terrorist activities have been arrested by Federal Authorities in the United States. Only in the case of FLANNERY’S arrest were authorities able to show a connection to NORAID. In all other cases, the defendants were in no way connected to NORAID and in some cases were known to be hostile to NORAID. Dictated by the style of necessary investigation, the undercover agent would have to spend a considerble (sic) amount of time working his way to the heart of the money collection activity. The best character for this role would be (redacted). His cover would have to be almost full time unless he had enough personal history in the Bronx and Brooklyn to have already established himself. The time period would be at least one year for the UCA to begin operating efficeintly (sic). Just a couple of thoughts to close. Slowing the flow of contributions to NORAID would equally slow the flow of money used for guns. This of course prevents legitimate contributions from being made, a serious side effect. If money to NORAID does not go directly into gun coffers, but instead goes to Ireland which in turn frees money returned to the US for guns (which [redacted] has suggested may be the case) the FBI has no jurisdiction. On the other hand NORAID may be only one of many conduits for gun money which may shift as often as the politics in the this struggle. Several different Irish unity groups may be the basis for the money flow. Effective work against that would involve penetrating each group separately. Translation: We are not entirely sure if or how Noraid funds IRA gun purchases but let’s infiltrate them and we’ll find out and if there’s nothing there we’ll at least have messed them around a bit. FBI terminology: FCI (Foreign Counterintelligence Investigation) also known as a ‘199’; UCA (Undercover Agent); SA (Special Agent); SAC (Special Agent in Charge); NYO (New York Office); LHM (Letter Head Memo). Have a look at the various European properties below which have a roughly similar sales price of €400k ($436k, £339k). The feature appeared in today’s Irish Times with no commentary. Now, which of these would you like to live in? 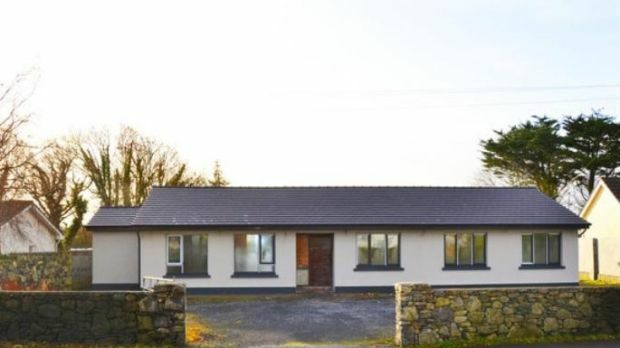 The bungalow near Galway (look at it and imagine it’s a cold rainy day!) 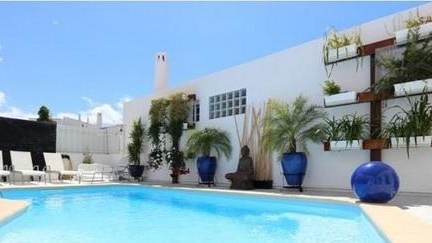 or the house in sunny Portugal with a swimming pool, or the 15th century French chateau? Or how about the house in Crete with views of the Med, or the stone house in Italy which has olive, almond and other fruit trees in the garden? If your answer is the same as mine, which is all of them except the place in Galway, then I think you must agree that Ireland is well on the way up a property price spiral similar to the one that brought about near financial collapse in 2008. And of course the government won’t do anything about it because rising house prices make existing property owners, i.e. conservative voters, happy. And newspapers like The Irish Times don’t mind too much either because the ad revenue generated by property bubbles is not to be sniffed at, especially in these parlous times for old fashioned print products. Maybe that’s why the piece was published without comment. So, expect the spiral to continue upwards. My advice to Irish homeowners? Sell if you can and take the place in Portugal. Come to think of it why the hell are we staying in Trump’s America when we could be swimming in a pool in Portugal? 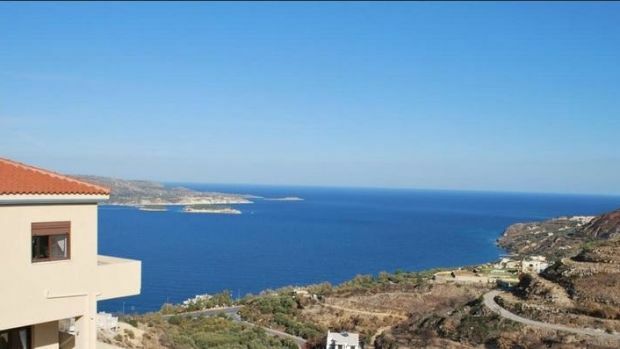 In the village of Aptera, which dates to the Minoan era, this four-bedroom house has views of Souda Bay, Kalives Bay and inland to mountains. The 191sq m house is on a slope, giving it those great views from inside – mainly from a vast picture window in the living room on the upper floor – as well as from the terraces beside both levels of the house. There is parking for three cars and heating is solar powered. Things are dramatic right from the entrance to this 15th century chateau where a stair sweeps up from the hall. 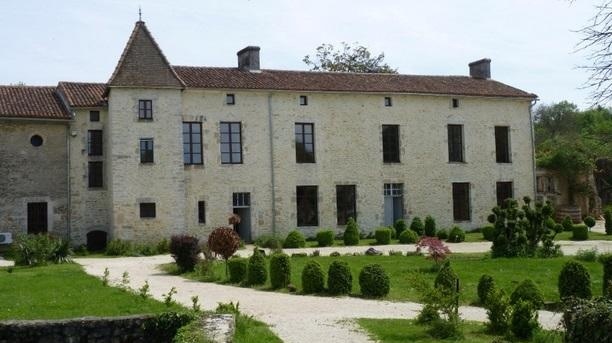 While the chateau, in St Claud, has been renovated, period pieces remain, including stone fireplaces, a wood-panelled dining room and all six upstairs bedrooms, exposed stone walls, wooden floors, decorative plasterwork and a stone floor in the 66sq m medieval kitchen. The chateau looks to a courtyard in one direction and a garden with lake in another. 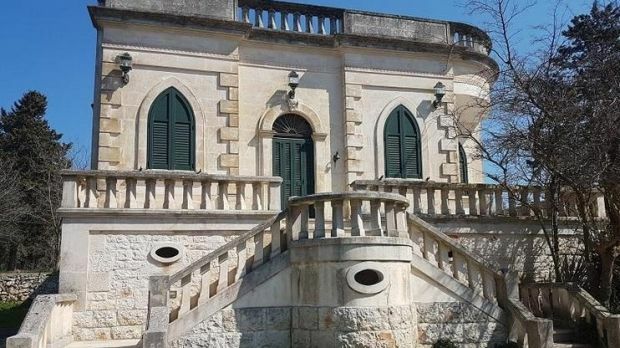 Five minutes from Ceglie Messapica town, this two-storey stone house comes with trulli buildings in its garden, adding to the accommodation of 350sq m. The main house, in good condition, has two bedrooms, a bathroom and two receptions. The garden, surrounded by a dry-stone wall, has olive, almond, pine and other fruit trees. Brindisi airport is just over half an hour away. Close to the beaches at Oura and St John Fort, this house has a cool white aesthetic inside and out, with tiled floors and the odd exposed stone wall to add texture and tradition to the sleek interior. The 108sq m three-bedroom, four-bathroom home comes with a swimming pool. Following my criticism on this site, here and here, of BBC Panorama’s documentary on Freddie Scappaticci, the British agent in the IRA’s spy-catcher unit known as ‘Steak Knife’, the programme’s presenter, John Ware took issue with my comments on the Belfast-based website Slugger O’Toole. You can read his critique here. My response was published on Slugger this morning, and you can read it here. Nothing like a spat between two journalists to enliven your day! Well, That Didn’t Take Long…..
Fox Business Network’s Charlie Gasparino reported Monday afternoon that former President Obama is set to receive $400,000 for a speaking engagement at a Cantor-Fitzgerald event in the fall. Gasparino said the former president hasn’t been out of office but for 100 days and he is already “cashing in.” Cantor-Fitzgerald, a renowned financial services firm, notably lost the most employees of any organization that had office space in the World Trade Center on 9/11. Not the one on the left, silly! But the one on the right! In the columns of Time magazine, un-indicted war criminal, Henry Kissinger reveals himself to be a sometime adviser to Jared Kushner, son-in-law of Donald Trump and said by mainstream media types to be the coming power behind the White House throne and replacement for right-wing loony Steve Bannon. Canny investors are said to be placing stock market bets on Dow Chemicals, makers of napalm and Monsanto, manufacturers of Agent Orange.